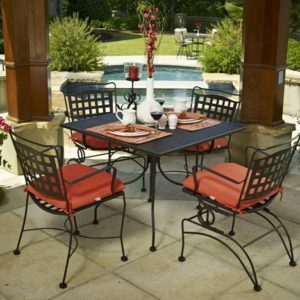 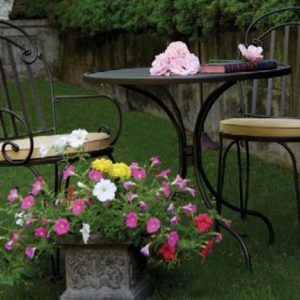 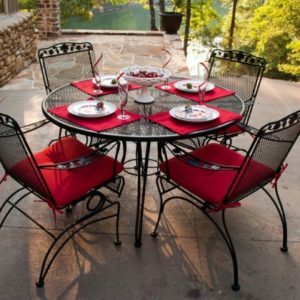 American made wrought iron and available in many colors. 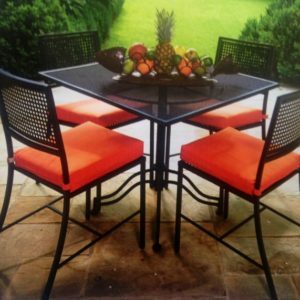 This is a functional bistro set. 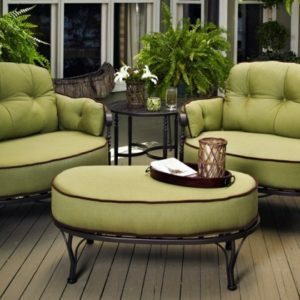 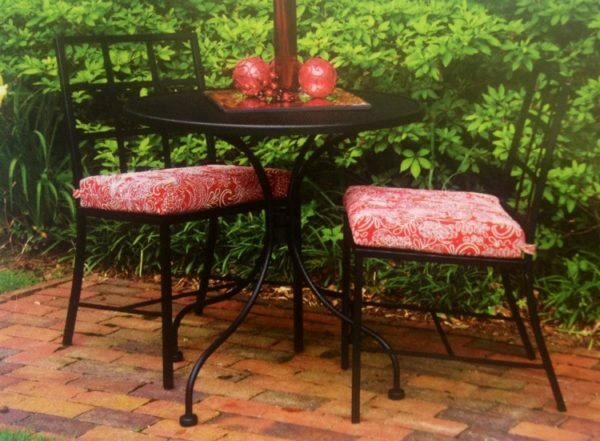 Great for balcony and small patio settings.